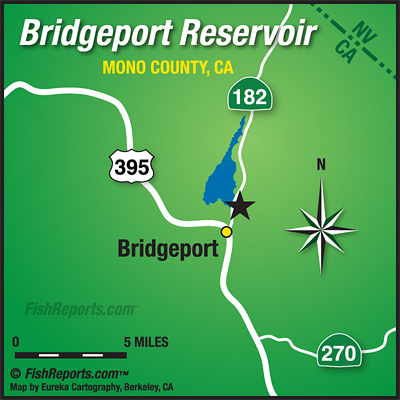 Bridgeport has fished excellent the past few days from boats but still a little tough from the shore. There's been a few fish being caught from shore with bait and lures but it's been pretty inconsistent. The boat anglers have been doing great trolling in shallow water with blades/crawlers, needlefish, thomas bouyants and small rapalas, bait anglers have been killing it with power bait, mice tails, inflated crawlers and power eggs. There are lots of fish hanging out in water that is only 4 ot 8 feet deep right now so don't be worried about getting into shallow water.